Glenn Maxwell has been announced as the current world No.1 in the new T20 Player Performance Index, the first system to evaluate players’ performance in both domestic and international T20 cricket. The Australian all-rounder, who struck 103 runs against England at Hobart, is narrowly ahead of West Indian all-rounder Sunil Narine. Maxwell’s outstanding performances with bat, ball and in the field see him top the list, which takes into account his performances in all international and domestic cricket over the last three years. He will be looking over his shoulder as his closest pursuers aim to overhaul his points tally of 786 in the Pakistan Super League, which starts today. The competition features eight of the world’s top 20 players. The Indian Premier League, which begins on April 4th, will see significant changes to the standings, with 58 of the top 100 players in the world scheduled to take part. FICA, the global players’ representative body and The Cricketer Publishing Limited (TCPL), owner of The Cricketer Magazine (the world’s best-selling cricket publication) and Cricket Archive (the world’s largest single-sport sport database) have joined forces to create an internationally recognised transformative index to measure the performance of Twenty20 players against their peers across all major domestic T20 competitions worldwide and T20 internationals. The T20 Player Performance Index is the product of 18 months’ work between FICA and TCPL with leading cricket statisticians, data scientists and in consultation with player representatives and players to create a meaningful, evidence-based approach to determine a world standing for every player representing their club, franchise or country. Tony Irish, Executive Chairman of FICA, commented: “The unrelenting growth of T20 has seen players delivering outstanding performances for teams in all corners of the cricketing world. Players and fans want to know who the best T20 player in the world is at any one time and the new Player Performance Index does exactly that. There are many high-profile cricketers who put in great performances for their teams. The Index seeks to identify players who do this consistently across the T20 landscape and over a critical number of matches. Guy Evans-Tipping, Chief Executive of The Cricketer Publishing Ltd, commented: “With almost all major cricket nations now running domestic T20 competitions, both FICA and TCPL recognised the opportunity to create a system which takes into account player performances in all these leagues. Our game has evolved dramatically since the advent of Twenty20, leaving traditional metrics for judging performance in this format outdated; runs and wickets alone are no longer an adequate measure of success. “To truly judge a player’s value, we need to look at the impact of performances in a much more sophisticated way. The T20 Player Performance Index does that, looking at the context of performance within a team and match situation, taking into account a whole range of metrics such as quality of opposition, the match situation and the impact of that performance on the match. In T20 cricket scoring 40 runs at a strike-rate of 100 when chasing 180 should not be viewed more favourably than scoring 20 from 10 deliveries at the death. More information follows in our editor’s notes section at the foot of this release and you can also visit the website www.t20playerperformanceindex.com for more information. The T20 Performance Player Index (the Index) is administered by the Federation of International Cricketers Association (FICA) and the Cricketer Magazine / Cricket Archive. The Index is a performance measurement system of all cricketers who currently play Twenty20 cricket (at both domestic and international level) anywhere in the world designed to determine who is “the best” Twenty20 cricketer in the world. The Index is not affiliated, associated, authorised, endorsed by, or in any way officially connected with the International Cricket Council (ICC) or any national cricket board, or any of their subsidiaries or their affiliates. The current overall No.1 player in the T20 Player Performance Index is Glenn Maxwell. The Australian batting all-rounder has been the most consistent player over the three-year measurement period, finishing each year well inside the top 20, including being third over the last 12 months. Maxwell’s recent form in T20 internationals and the biggest global domestic T20 tournaments sees him marginally ahead of Sunil Narine in the No.1 spot, with the pair sitting 50 points ahead of the chasing pack, which includes the likes of AB de Villiers, Dwayne Bravo, Shoaib Malik and Maxwell’s fellow countryman David Warner. Despite the fact he has not won a T20 tournament in the last three years and has the lowest win-rate percentage of players in the top 20 (largely due to the Kings XI Punjab and Yorkshire under-performing in 2015), ‘the Big Show’ has saved some of his best performances for the big games. He holds the second-highest score in T20 internationals (behind Aaron Finch’s 156) of 145 not out in 65 balls against Sri Lanka at Pallekele in 2016, and his recent match-winning performance against England of 103 from 58 deliveries (in a total of 161) and 3 for 10 with the ball has only helped to cement his No.1 position. With the IPL as the highest-weighted domestic tournament in the Index, Maxwell’s performance in the 2017 competition also gained him valuable points. He had the highest strike-rate (173.18) of anyone scoring 300+ runs and hit 26 sixes (equal highest with David Warner but off only 179 balls, meaning he hit 14% of his balls for a maximum, comfortably the highest % in the competition). Unsurprisingly, his strike-rate in the death overs (14-20) was equally impressive, scoring at 233.4, the highest in the competition (of players who scored 100+ runs) helping Kings XI Punjab to win 71% of those games in which he was batting at the death. With a strike-rate of 157 across all competitions (bettered only by de Villiers and Shahid Afridi in the top 50) and an activity rate (% of scoring balls) of almost 70%, Maxwell has scored many of his runs against the world’s top bowlers, which has helped to boost his Index score. On the bowling front, an economy rate of less than 8, and some valuable wickets at key moments, as well as 37 catches and seven run-outs also contribute to putting him at the top of the T20 Player Performance Index. % of Total Team Runs Scored – runs scored by the batter as a % of the total runs scored in all games in which he played; contributes to normalising the effect of the pitch or conditions. Economy Rate – runs conceded divided by overs bowled. This is also split by the stage of the innings (Powerplay, Middle Overs and Death Overs) to allow for varied expected values. Indexed Economy Rate – measures a player’s economy rate vs the average economy rate in matches played (again dependent on the stages of match in which the overs are bowled). A better economy rate than average scores positive points, a worse economy rate than average will score negative points. Contributes to normalising the effect of the conditions. Metrics are calculated using adjusted averages, so a player’s total points can go up or down. All metrics are Indexed and weighted to ensure that each attribute of a player’s performance is considered with key metrics having heavier weightings. Individual metrics are also adjusted depending on the context of the performance within the match and the strength of the opposition players. Measurement period – the Index is based on a rolling three-year period; this is made up of 100% of the score for the third year (most recent 12 months) plus a reduced percentage of the second-year points and a further reduction of the first-year points. Points drop off after three years or at the start of the same tournament three years later, whichever is the earlier. Matches won – points are awarded per match where a player has been part of a winning team. However, this is kept to a small adjustment so as not to over penalise those playing fewer games. Tournaments won – points are awarded to players who are part of a tournament winning squad and are relative to the number of matches played. Again, this rewards success but the value is kept relatively low so as not to penalise those playing fewer tournaments. Tournament weighting – all tournaments are weighted based on the strength of players within that tournament (via pre-tournament standings) and the value attributed to each tournament by players (via a FICA survey). Number of tournaments played – to guard against a player playing in only the highest weighted tournament and therefore potentially appearing falsely high up the Index, additional weighting is applied the more tournaments played (up to five tournaments per year). This does not mean that a player only playing in the IPL (for example) cannot top the overall Index but does allow for potential margins of error where only a small sample size of games is being used to calculate a player’s performance. Minimum number of games played – a player cannot gain full points for any attribute until they have displayed that attribute in a minimum number of matches. This guards against one performance (e.g. a tail-ender scoring 40 off 15 balls) overstating a player’s overall score. Strength of opposition team – individual match performances have a slight weighting variance depending on the strength of the opposition team (based on prior performance within a tournament). Strength of individual opponent – a stronger weighting is then applied to performance within a match vs the individual opposing batter/bowler (based on the current standing of that individual). E.g. runs scored against a top bowler or wickets of a top batter are weighted more heavily (and vice versa). Context of individual performance – additional adjustment is applied depending on the context of a player’s performance. E.g. a match-winning 50 in a tight low-scoring game will be worth more than a pressure-free 50 in a high total. Why are FICA and The Cricketer doing this? Although the game has undoubtedly evolved, the traditional measures of player performances have not. As such, both parties recognised the need for an internationally recognised global system of assessing players’ performances which takes into account performances in all international and domestic T20 cricket. The complex algorithm which underpins the Index incorporates many performance metrics and will assist to more accurately measure player performances across this format. It will also help drive the global T20 narrative throughout the year. How does the T20 Player Performance Index differ from existing cricket player performance measurements? Will there be a T20 Player Performance Index for Women’s Cricket? We are currently working on creating an algorithm for women’s cricket. This is in development stage but we expect to have this ready and launched during the course of 2018. As well as developing an algorithm we need to ensure a sufficiently large sample size of data to ensure the results are statistically sound. For men’s cricket we incorporated three years of completed tournament data and would expect to need a similar sample size of data for women’s cricket. Why are some international players lower down the standings than you might expect? The Index takes into account performances by players taking part in both major T20 domestic tournaments and T20 internationals. Often the reason is that a player’s international commitments, including across other formats, may mean they have played very little T20 cricket during the qualifying period. Their other commitments may have also precluded them from playing in domestic T20 competitions both in their own countries and overseas. Which tournaments are included in the T20 Player Performance Index? 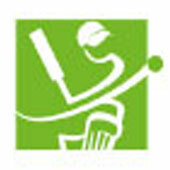 All major domestic T20 tournaments are included as well as all T20 internationals. How often are the standings updated? Are some tournaments weighted more heavily than others? Yes, all tournaments have a weighting based on the overall strength of the players within that tournament, so e.g. at present the IPL is weighted more heavily than the Bangladesh Premier League. Are Indian players at a disadvantage as they are unable to play in domestic tournaments overseas? While it is true that Indian players are unable to participate in overseas leagues, those that play in the IPL and international cricket will be accruing points with the highest possible weighting (The IPL and International matches are joint highest weighted tournaments). Those Indian players who perform well in the IPL but don’t play for India will have a limitation on the points they can accrue but exceptional performances in the IPL could still see them top the Index. Over what period is the T20 Player Performance Index measured? The Index is measured over a rolling three-year period, with the most recent 12 months most heavily weighted to give priority to recent form. Three years provides a sufficient sample of data to obtain an accurate picture of where players sit against their peers. Points accrued from tournaments which took place three years ago drop off when the corresponding tournament begins in the current year. All International fixtures from 5th October 2014 are included – going forward a full three-year rolling sample will be included in calculating the Index. Are batting and bowling measured separately? The algorithm considers all attributes of the T20 game. Batting, bowling and fielding (and wicketkeeping where applicable) are all included in the overall Index. Does the T20 Player Performance Index therefore favour all-rounders? All-rounders have more opportunity to accrue points, however a player’s maximum points vary depending on how much of an all-rounder they are (the percentage of games in which they bat and bowl). This allows the opportunity for a batter or a bowler to top the standings with a very strong performance in one attribute. Can wicketkeepers score additional points? Points are awarded for fielding dismissals (catches, stumpings and run-outs) and wicketkeepers can score additional points by conceding fewer byes than average. Do the players who have played the most matches automatically top the standings? No, the Index is calculated using adjusted averages, so points are not just accumulated. Poor performances can lead to a drop in the standings and a strong performance across a relatively small number of matches could see a player top the standings. However, additional positive adjustments are made for matches and tournaments won. Does a player have to have played a minimum number of matches or tournaments to appear in the T20 Player Performance Index? Index points can be accrued after one match – however a minimum number of matches must be played in a year to accrue full points. Additionally, specific batting and bowling metrics do not award full points until a certain number of balls have been faced/bowled. This ensures a large-enough sample size for each player to give confidence that their performance is being measured accurately. Does a bowler bowling in the Powerplay have a disadvantage? No, bowling metrics are split by the stage of the match (Powerplay, middle overs and ‘death’ overs) with performance in each being weighted accordingly. How do you measure the strength of the opposition batter/bowler? Every run scored or ball bowled is weighted based on the current pre-match Index points of the opposition batter/bowler. Runs scored vs the number one bowler will be worth more points than runs scored vs the 200th placed bowler. Likewise, wickets taken or economical overs bowled vs a top batter are worth more. Do weather or pitch conditions influence player standings? The algorithm includes adjusted metrics to normalise conditions, so e.g. batsmen who play at home at a low-scoring ground will not suffer accordingly. If they are outperforming the expected values, their Index points will increase. All metrics in any match affected by Duckworth Lewis Stern are also adjusted accordingly.